Note: These dates and times reflect 2019 events. 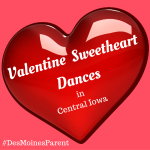 It is that time of year to grab your little one and celebrate Valentine’s Day with a Valentine Dance in Des Moines. 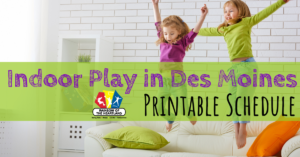 Des Moines is lucky to have several Father-Daughter dances including a Mommy & Me dance too! Check them all out below. Make sure you register quickly. If you have a dance you would like to add to this list, let me know. This red carpet event will include dancing, refreshments, a photo booth, and tons of memory making. This event is open to members and non-members ages 2+. Come have fun and dance the night away in a magical “Enchantment” ball that she will never forget! They will provide everything you need to make this a fun and memorable night including photos, pizza, desserts & refreshments. There will be a special guest appearance by royal princesses so be sure to bring your camera! We encourage all guests to dress as they were going to a magical ball, even the adults. So Dads- dust off your suit or your Sunday best! Space is limited, so reservations are encouraged. Proceeds from this event go to support programming for the young children in the parish. Come join us and learn how to make valentines cookies for your sweetheart! The class is $45 and you take home a dozen cookies! Limited to 10 people, kids welcome! Deposit of $20 must be paid to reserve your spot. 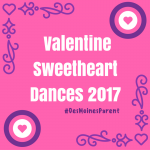 Celebrate with your little sweethearts at the Mommy and Me Dance! 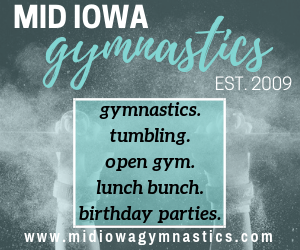 This dance is for central Iowa moms and their kiddos and all proceeds benefit Variety and our mission to improve the lives of children who are at-risk, underprivileged, critically ill or living with special needs. 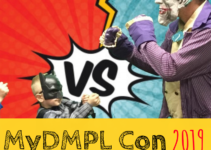 The event features dancing, snacks, desserts, a magician, Face painting, a fun photo booth, guest appearances from some well-known superheroes and princesses along with an arts and crafts station. 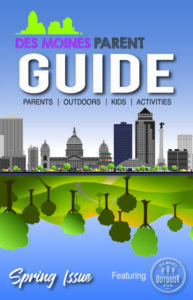 The first 200 moms to check in the day of the event will receive a Fareway grocery bag. Please note the new location, the FFA Enrichment Center in Ankeny. Mom +1 child $35. $10 per additional child. Join us for this annual community event that provides a unique opportunity for “Sweethearts” to spend an evening together. This event, held at the West Des Moines Sheraton Hotel, provides an added touch of elegance. A child-friendly, light Italian meal will be served buffet style along with a variety of desserts during the festivities. A video DJ, Thunder, and Lightning will WOW the crowd with two huge video screens and family-friendly music. Photos will be available from University Photo for a small additional fee, and a box of conversation hearts will be handed out to each child at departure. Plan ahead and don’t miss out. $20 per person. Ages 4 to 11 years old. 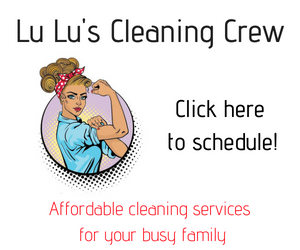 Friday, February 1; 6:30 to 8:30 p.m.
Saturday, February 2; 6:30 to 8:30 p.m.
Friday, February 8; 6:30 to 8:30 p.m.
Saturday, February 9; 6:30 to 8:30 p.m. This event provides fathers, grandfathers and father figures an opportunity to take their daughters or granddaughters out for an evening of fun. There will be dancing, door prizes, refreshments, and a dessert buffet! Tori’s Eye Photography will be present for optional picture packages. $35 per couple and $20 for each additional daughter. Must register. For 1st – 5th graders. Don’t wait until midnight on Wednesday the 13th! Have your child glue and glitter to their heart’s content at our Valentine’s Day box workshop. $10 (if you bring your own box); $15 (if you need a box). Fathers and daughters or grandfathers and granddaughters of all ages are all invited to enjoy an evening together. While a D.J. 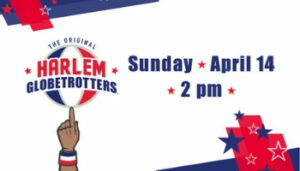 entertains the crowd with great music and fun, a variety of finger foods and desserts will be served during the festivities. Photos will be available at the dance for a small fee. The event fills quickly. $16 per person. ** Tickets MUST be purchased in advance. 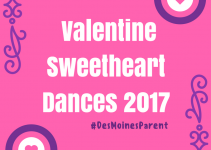 Dads are invited to bring their daughter(s) to the annual Father-Daughter Dance being held at the Science Center of Iowa. 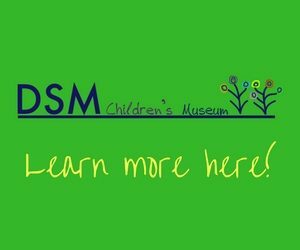 This event provides an evening of dancing, refreshments, photo opportunities and exhibits at the Science Center for fathers and their daughter(s). A carnation flower will be given to all daughters and a chocolate fondue station with dipping options will be available for everyone to enjoy. 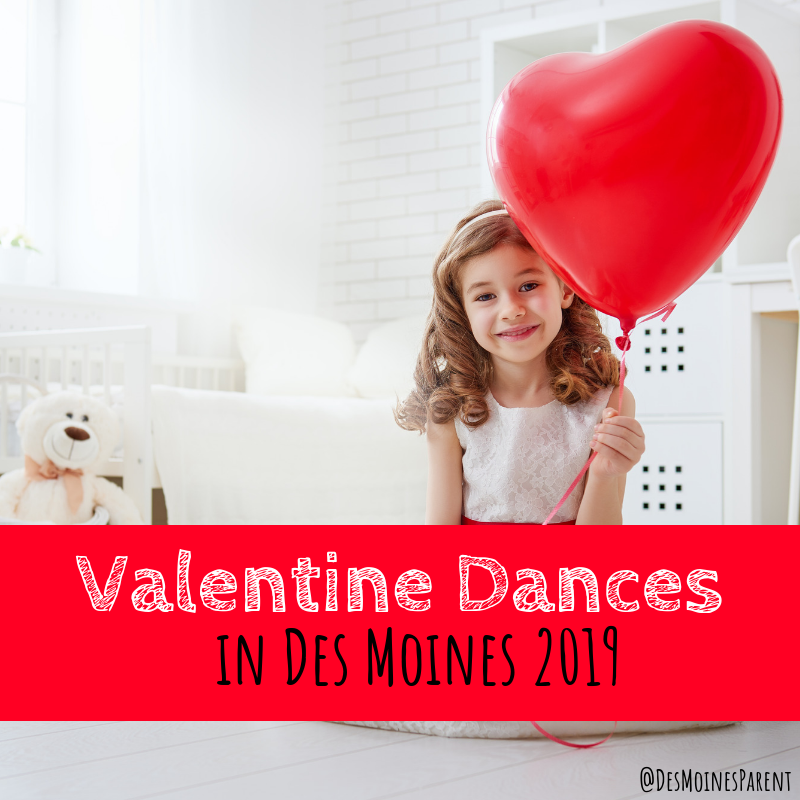 Dads don’t miss out on this memorable opportunity with your daughter(s) by attending the annual Father-Daughter Dance, sponsored by the Des Moines Parks and Recreation and Boesen The Florist. Dads can be anyone who is a father figure to a girl: dad, brother, grandpa, uncle, cousin or male role model. $10 per person. Kids, join dietetic intern, Taylor, for a fun night of cooking! We will be making treats and eats inspired by the festivities of February – The Super Bowl & Valentines Day! Cooking classes are for ages 7-13 years old, registration is required, e-mail Taylor at taylorlarosee@gmail.com if you are interested in signing up! Cost is $10/child. We will cap the event at 20 children, so sign up as soon as possible! An evening of dancing and fun for dads and daughters age 3 – grade 6! Tickets, priced at $5 per person or $20 family max, include crafts, dessert, and beverages. Professional photographers will be on hand for an additional cost. An evening of dancing and fun for dads and daughters age 3 – grade 6! Tickets, priced at $5 per person or $20 family max, include a photo booth, snacks, and beverages. An evening of dancing and fun for dads and daughters age 3 – grade 6! Tickets, priced at $5 per person or $20 family max, include crafts, dessert, and beverages. A special day for Dads and Daughters. Come grab a dessert and enjoy some special time with your sweetie. Creme Crew will be on hand to capture photos as requested. Each daughter receives a special gift while supplies last. 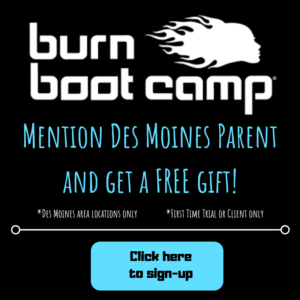 Are you looking for a way to help your child connect to their body in a positive way? Yoga for kids is a wonderful workshop that is fun, challenging and creative. Leave your child in, registered yoga teacher, Mary McCarthy’s safe hands for a few hours to move their body, shake their sillies out and then relax and calm down through breathing and meditation. Your child will practice basic yoga poses, mindfulness techniques, relaxation and have lots of fun during the 2-hour workshop. $20. Now moms, grandmas, aunts, special neighbors—you name it–get to take their sons, grandsons, nephews and favored ones–to have some fun on the dance floor at Faith Lutheran Church’s 6th Annual Mother Son Dance, which will take place at 6:30 p.m., Friday, February 15 at the church, 10395 University Avenue in Clive! They will have a deejay, games, photo booth and a dessert bar! Buy your tickets now! 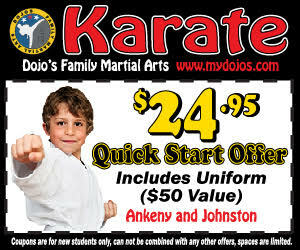 They are $31 per couple (additional children are free). Ticket price includes all fees and proceeds will benefit summer camp scholarships. An evening of dancing and fun for dads and daughters age 2 – grade 6! Tickets, priced at $5 per person or $20 family max, include crafts, dessert, and beverages. An evening of dancing and fun for dads and daughters age 3 – grade 6! 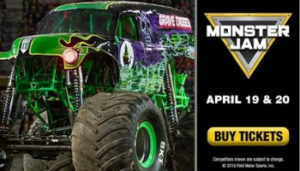 Tickets, priced at $5 per person or $20 family max, include games, dessert, and beverages. A special day for Moms and their children. Come grab a dessert and enjoy some special time with your sweetie. Creme Crew will be on hand to capture photos as requested. Each child receives a special gift while supplies last. Blake Fieldhouse in Indianola. 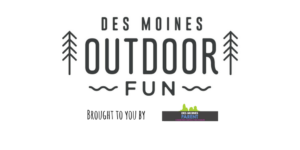 Presented by Hy-Vee. Calling all Dads and Daughters, Grandpas and Granddaughters, Uncles and Nieces, or family friends for the date night event of the year! Join our DJ for a night of dancing, refreshments, and FUN! This event is sure to be a special evening and memory that will last a lifetime. Join us again this year for a memorable night of dancing and glow party fun! Fathers and daughters will enjoy great music, fun with friends, and a wonderful selection of yummy sweet treats. Glow necklace and a Father-Daughter digital photo are included in the cost of your tickets. 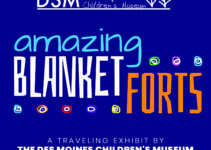 DSM Children’s Museum: 3 Events, 2 New Exhibits, 1 Very Busy Weekend! Hi – Would you be able to add our Father Daughter Glow Dance to your list?